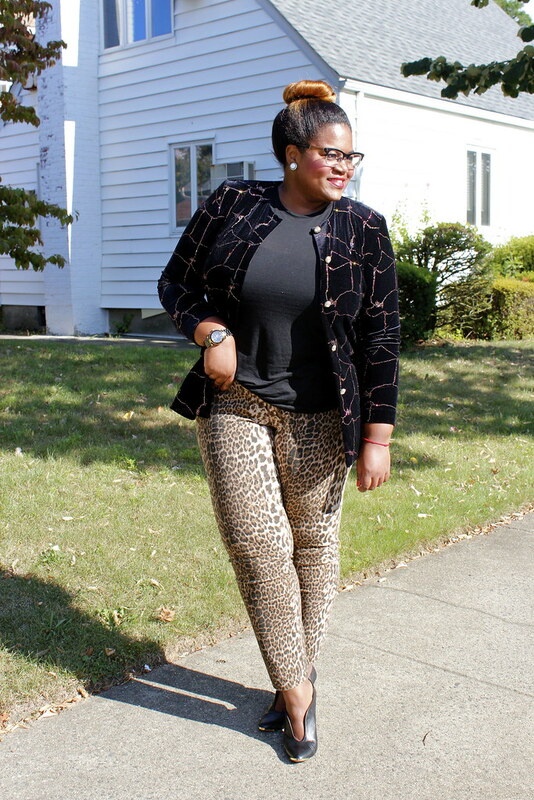 The Style Climber: Velvet and Leopard, Oh What A Pair! 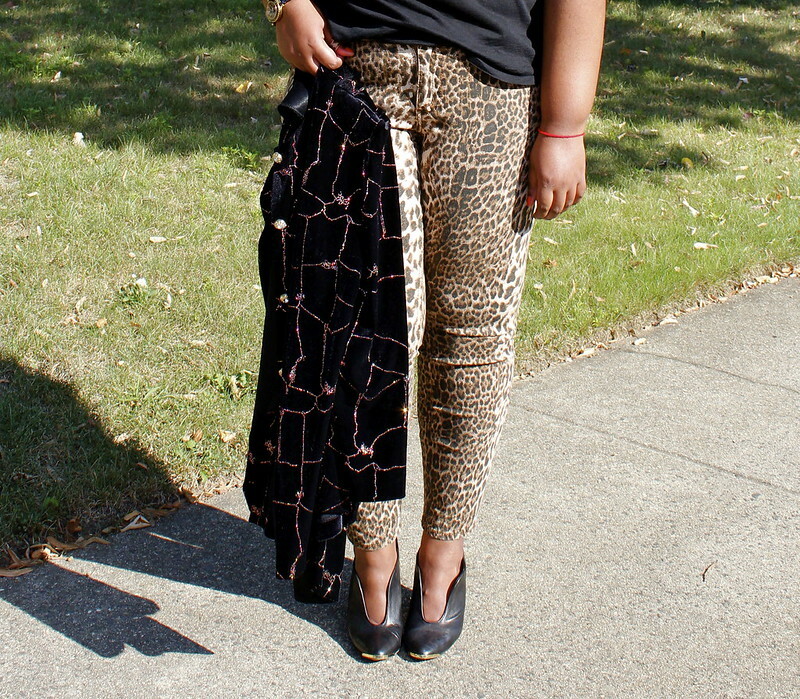 Velvet and Leopard, Oh What A Pair! First off praises to this gorgeous vintage velvet/sequin jacket. Amazing!!! Instant attraction was the name of the game with this stunner. Second praises go to the phenomenon that is print on print pairings. Because of this addictive trend I am more bold in my choosings. The sky's the limit because (in my head) everything works! 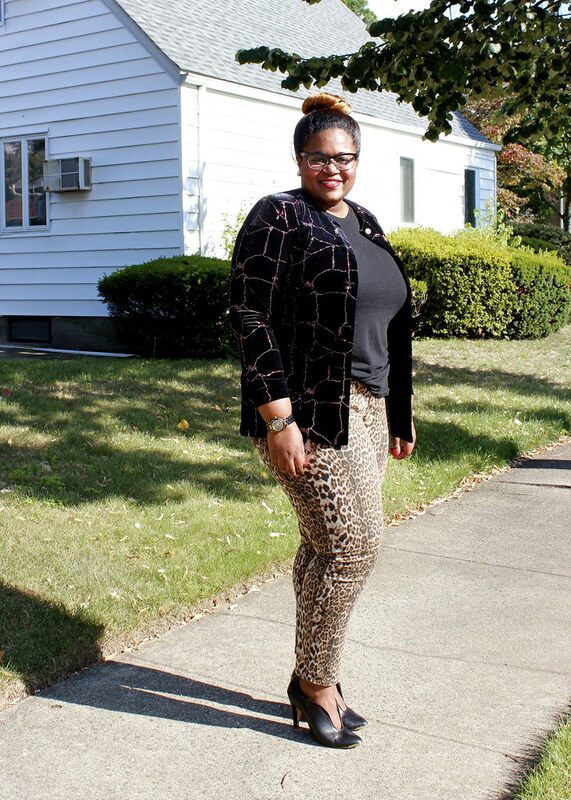 Even with this bold leopard pant that I love so much I told myself I can't just leave it alone to do all the work and immediately paired it with the velvet jacket. Yes who would have thought! Look at Ms. Velvet in all of her sparkle! 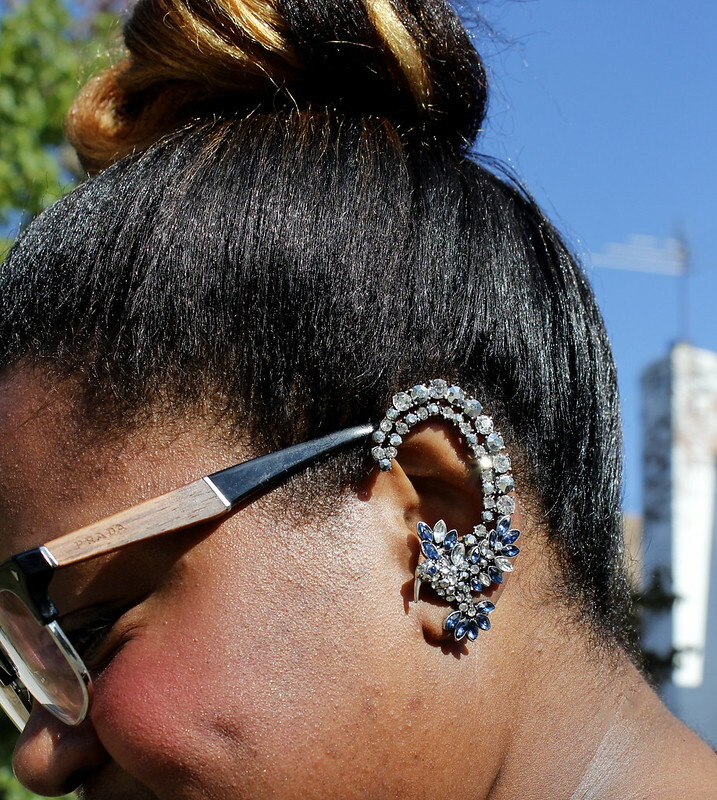 By the way after my Tears To The Eyes FAB post on Ear Cuffs, I had to get one! I snagged this gorgeous piece at Zara. She's another sparkler and I love her so! What do you think of her? I love the boots, leopard and velvet mix. Won't mind having it in my warrobe.